Raleigh Window Tinting is a family owned and operated business specializing in residential, commercial, and automotive window tinting. Established in 1992, we have been proudly serving our customers in Raleigh, North Carolina, and surrounding areas for over 25 years. We always strive to educate our customers on the different features of each window tinting product so that they can make an informed, confident decision about what type of 3M window film is best for them. As a 3M-authorized Prestige Dealer, Raleigh Window Film recognizes the importance of quality and dependability, and we provide premium window tint products from the manufacturer that held the original patent on window film - 3M. 3M continually innovates by investing in research and development in order to create new products and enhance performance of existing products. 3M products are also backed by a comprehensive warranty against peeling, bubbling and cracking, so you can rest assured that your investment in window film is safeguarded for years to come. I've been in business for over 26 years and have extensive training and knowledge in both automotive and residential/commercial window film application. I'm a native North Carolinian and in my free time I enjoy spending time at our family farm with my wife Stacie and our 3 kids. 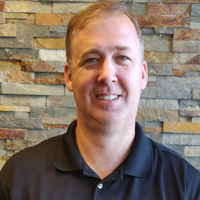 Patrick has over 15 years experience in both automotive and residential/commercial window tinting and has brought a wealth of knowledge and expertise to Raleigh Window Tinting over the past 6 years. In his free time you can find Patrick and his wife Tiffany riding dirt bikes or hiking trails with their dog Ava. Joe is originally from Brooklyn, NY, and relocated to NC in 2005. 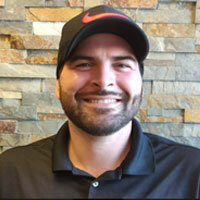 Before learning how to tint windows, Joe had several years experience in the automotive industry detailing cars. 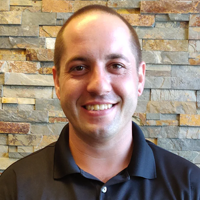 Joe has been with Raleigh Window Tinting for over 5 years now and has received extensive training in automotive window tinting. In his free time he enjoys fiddling with computers and playing video games with his 9-year-old son. Austin is a 3rd year college student majoring in marketing and has six years experience in window tinting with Raleigh Window Tinting. Austin has received extensive training in window film application for automotive and residential/commercial. In his free time he enjoys watching sports and playing video games (and does not enjoy studying!). 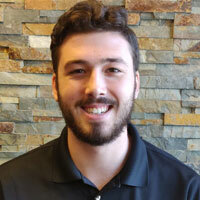 Cullen has been tinting automotive windows for over 2 years now. 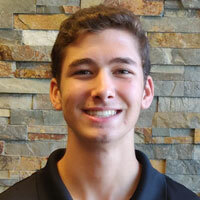 Cullen is a senior at Heritage High School where he competes with the Huskies in track. In his free time he likes to play video games and spending time at our family farm. But mostly lots and lots of video games. See what some of our customers have to say about our company. We take great pride in ensuring the highest standards of customer satisfaction. Come visit us today to learn what we're all about! These guys and gals are the best in Raleigh! Scott has been in the 3M window tinting industry for years and continues to show his passion for excellence is why he loves what he does. Scott has turned his passion into a family affair and it's a business that will survive generations from now because of his teaching and attitude towards each individual customer. You're not just another customer when you walk through the doors you're a friend and when your vehicle service is completed you're like family because he remembers you years down the road when you return with your next vehicle. Special shout out to your leading lady receptionist Emily for her patience with all the new clients! Austin, Sydney, Cullen and Patrick keep up the awesome work you guys are Great. Cullen even took a few minutes to help wash my car after the tint was finished, thanks again shop detailer! Our team is excited to work with you on your next window tinting job. Give us a call at (919) 875-1600 or fill out the form below for a free window tinting consultation. © 2018 Raleigh Window Tinting. All Rights Reserved.